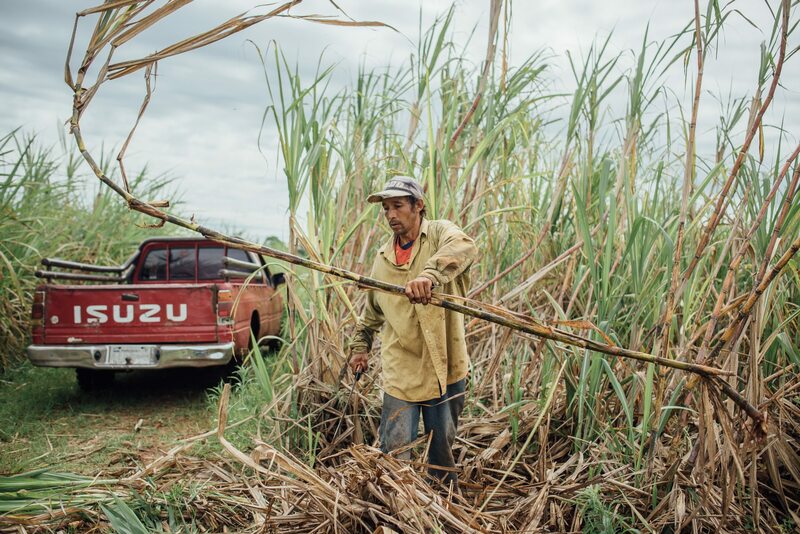 Every winter finds us on our travels – we go and see the people who farm our raw ingredients, and we visit Lemonaid & ChariTea Foundation’s social projects. In the winter of 2016, we packed our rucksacks and headed off to Paraguay. 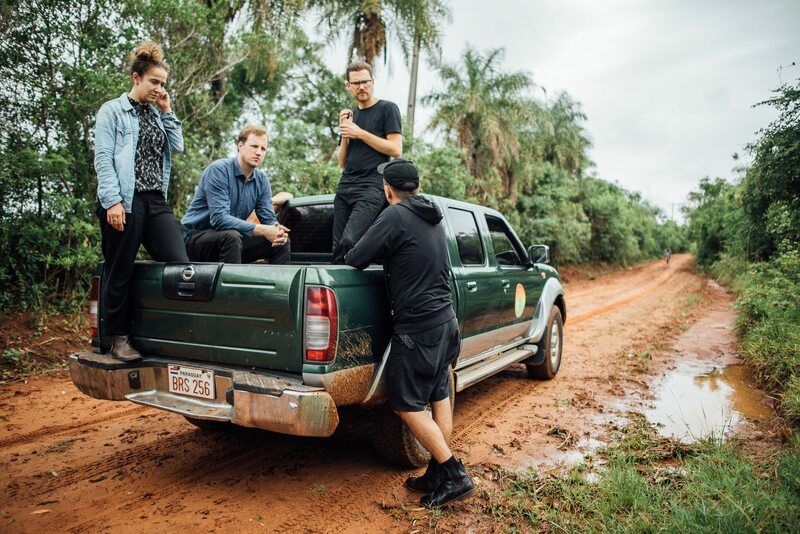 We made our way by pick-up truck to Guarambare, the home of our organically-farmed Fairtrade sugar cane. The members of the ASOCAZE cooperative have been farming organically there for more than 15 years. They sell their high-quality raw materials according to strict Fairtrade principles, meaning their family can earn a decent income. This isn’t to be taken for granted in this region, where social inequality and corruption are major problems. 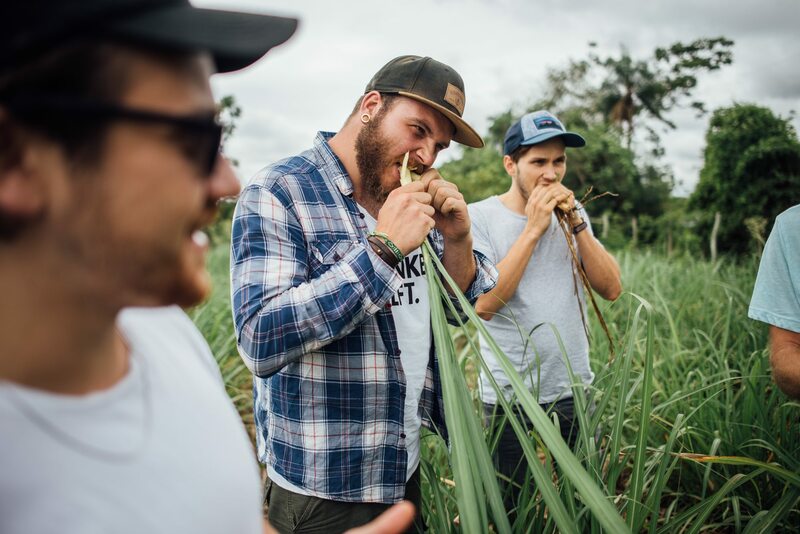 The farmers once more blew us away with the excellent quality of their sugar cane – and showed us that it’s pretty delicious even just as it comes. It’s a natural snack straight from the fields! 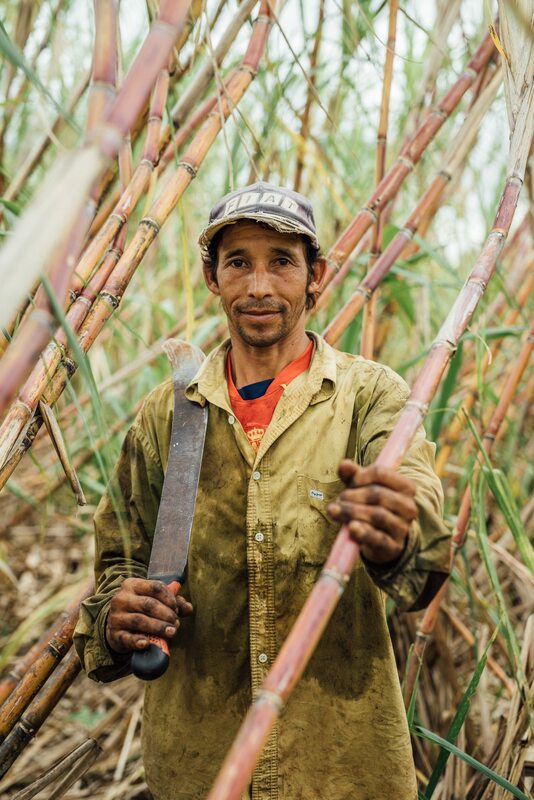 This naturally sweet product is harvested from May to November, according to the traditional method – by hand, with a machete. 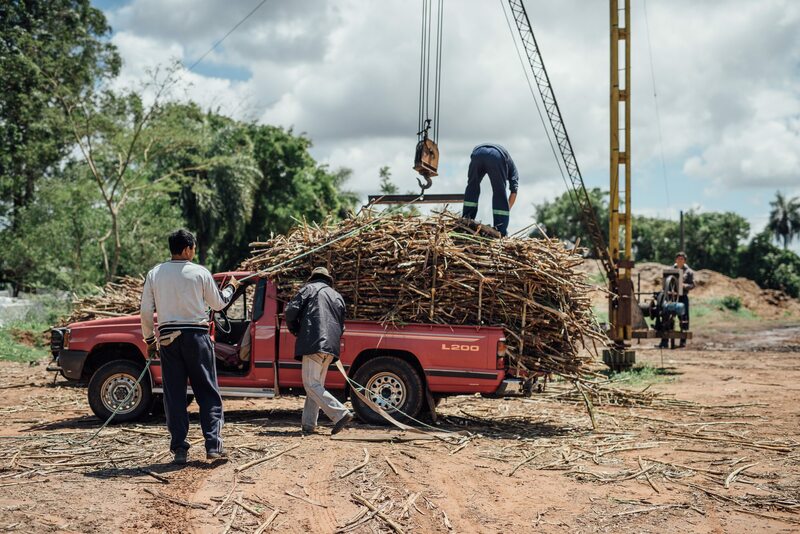 The freshly-cut sugar cane is then bundled up and loaded onto the smallholders’ truck with a crane. Then it goes to the mill, “La Felsina”, where the natural sweetness that perfectly rounds off our organic soft drinks comes out. 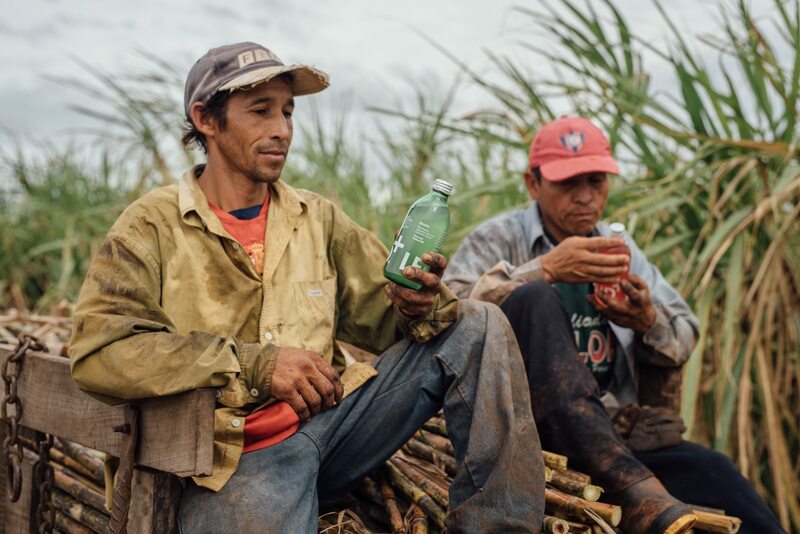 Despite the fair pay and lack of exposure to the damaging health consequences of pesticides, the work in the fields in tough and deserves a sweet reward – drinking helps! It was great for us to see that there are alternatives in Paraguay to the dominant exploitation and environmental destruction – and that we support those alternatives with the Lemonaid project.